Well it is nice to be back on the water, we sold our 27ft Grady White and have been without a ocean boat for a few weeks so we decided to rig up one of our river jet boats with downriggers until our new boat arrives in a few weeks. I am quite surprised how well our 22ft HCM works in the chuck, plenty of room for 4 anglers. 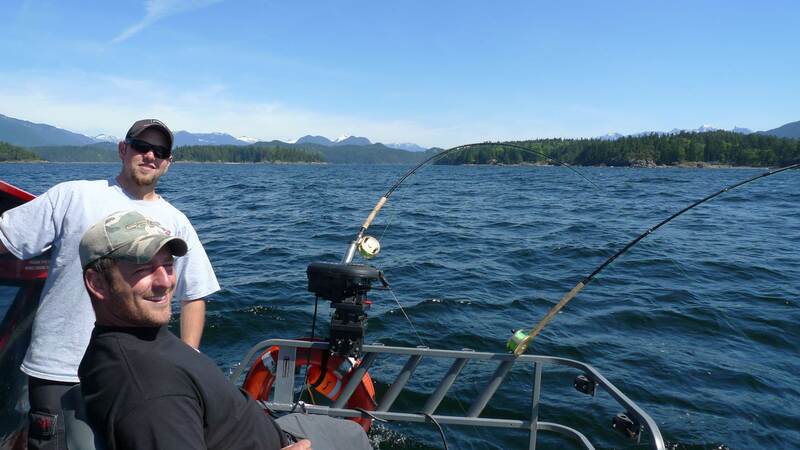 Fishing has been fair to good in the Vancouver area, most of the fish are coming from South end of Bowen, the Hump, QA and when water is calm Thrasher Rock. This time of year spoons, hoochies and herring are your best bet. The fish we got on this trip came on a Purple Glow Flasher with Pearl Hoochie. 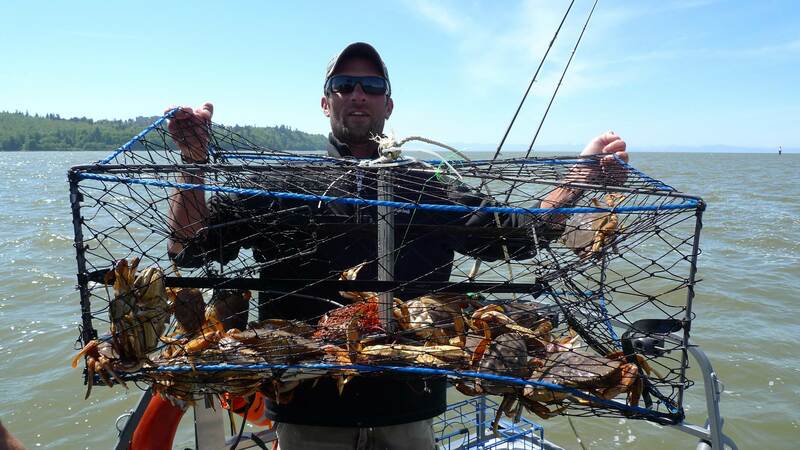 Lots of Crabs still around, we limited out on every trip so far this year. Water levels on the Fraser have increased slightly this week, lots of sticks in the water today and we expect the river to continue to rise over the next few days. If you plan on going out, watch out for the smaller sticks if you are running a jet boat. 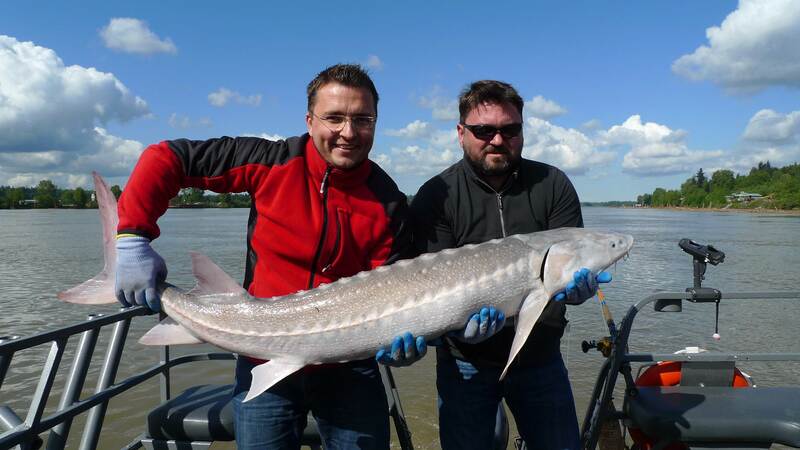 Sturgeon fishing has slowed this past week due to rising river. Every fish we have caught has been stuffed full of Eulichons which only means fishing will be slow until these fish diggest all that food. We have fished from mouth of Pitt all the way to Aggasiz with same results, 3 to 6 fish per day on average with the odd 8-10 fish day. We are still on the water each and every day so if your looking to get out, give us a shout. Trout fishing in the Interior and local lakes is really starting to pick up, some nice rainbows are being caught in the Merritt/Kamloops with Chronomids being the favorite. I also like fishing dragon fly nymphs close to bottom in early spring, can produce some of those larger fish. Local rivers are producing some Cutthroat like the Harrison but your best bet is to fish side channels and Harrison Bay out of the main current. Our Pitt trips start up next week so we will keep you posted on how that system is fishing once we get a few days on the water. This Picture was taken last June with Angelo Viola from Fishn Canada and Vic Carrao of STS. Many of our tours have been cancelled due to high water and sticks and debree. We are now booking for August 2012 with many dates already full up. 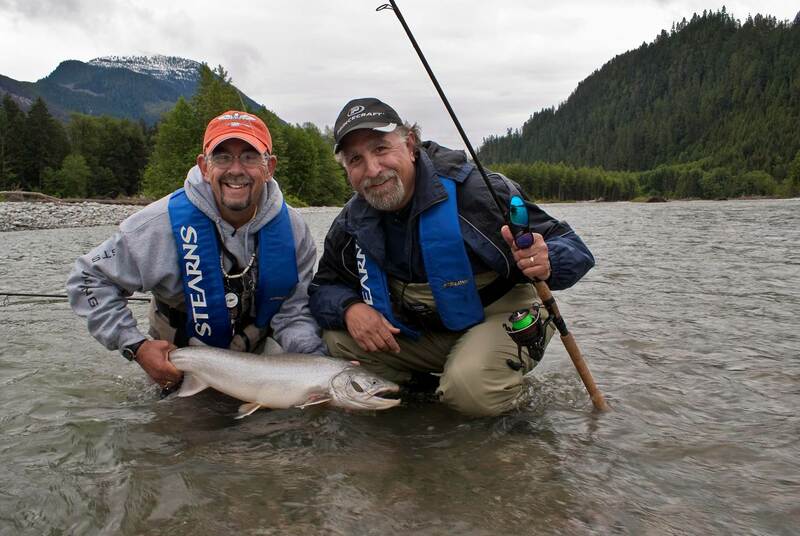 If you are looking for a great day on the water, come experience the Fraser Canyon. 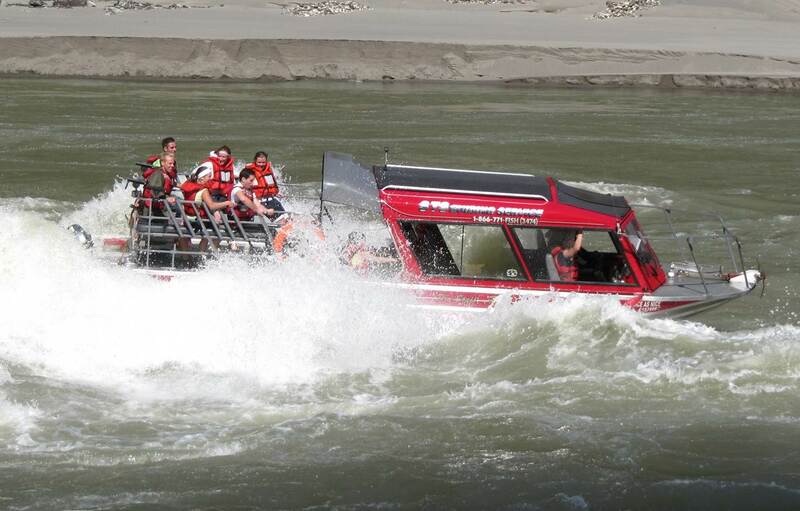 Wild and Wet Tours in the Fraser Canyon all summer long. E-mail us for available dates. 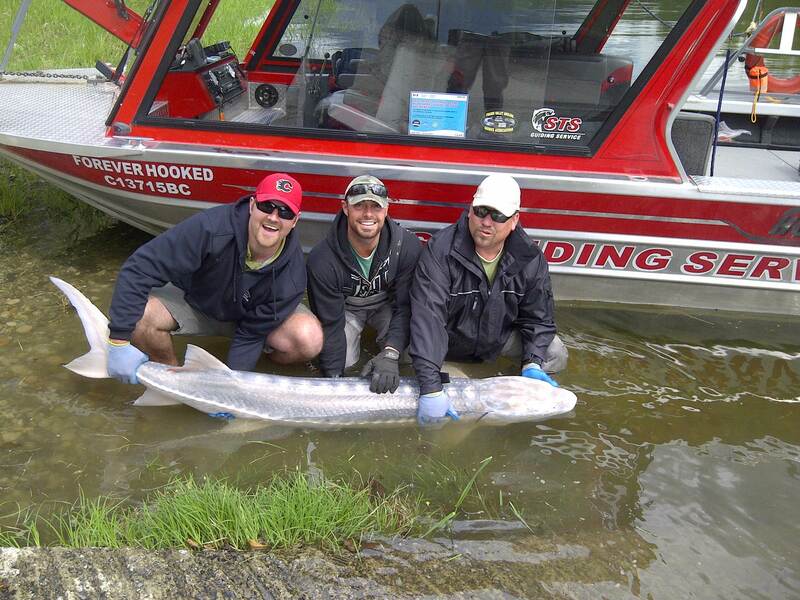 You are currently reading Fishing report for May 23 at Hells Gate Jet Boat Tours Blog.